Eli Kinney-Lang, a first year PhD student at the Institute for Digital Communications (IDCOM), has been awarded a 2016 Brain-Computer Interface (BCI) Meeting Student Travel Award sponsored by the NIH. The award is worth $1100 and will allow him to attend and present his two accepted abstracts at the sixth annual International Brain-Computer Interface Conference in Pacific Grove, California. 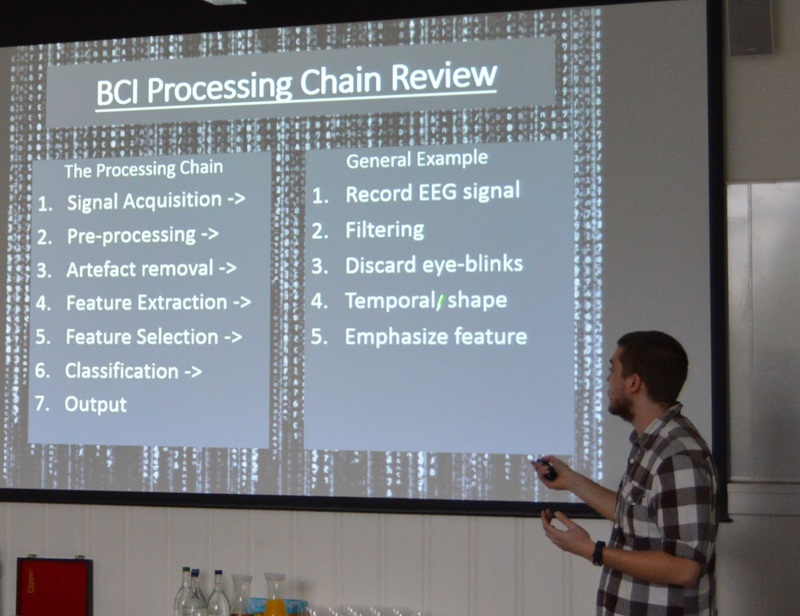 The conference will include presentations from hundreds of international students alongside many of the leading academics in the BCI field and it is the premier international scientific meeting for BCI research. Under the supervision of Dr. Javier Escudero, Eli's research is focused on examining signal processing solutions to allow children to use BCI applications in movement rehabilitation. Due to the emerging nature of this research, little has been done to investigate the lack of BCI applications useable by children. As a step towards these goals, Eli will present his work in establishing the validity of BCI use in children from a literature perspective and through modelling approaches at the conference this May.